Following our philosophy of contribution to the community and one of our core values being care, Progress-U is dedicated to offering support and assistance within the communities we operate. From assisting non-profit organizations to offering pro-bono executive workshops, Progress-U partners with local organizations to contribute with its unique expertise. "Bai Xian Asia Institute believes that education is the most critical tool in building a world of greater understanding, trust, and stability. By strengthening relationships among the peoples and educational institutions of Asia, we seek to promote lasting friendships and bridge gaps across cultural differences. Our programs empower young scholars and leading Asian universities to engage in discourse and share their experiences, in time contributing to a new era of cooperation and understanding as both students and teachers navigate communal challenges together as leaders in the changing global landscape. The Institute is wholly independent, transparent in its ambitions, and driven by good governance. We strive to act with honor and integrity, respecting local and global diversity, and honoring our pledge to deliver best-in-class philanthropic leadership to transform lives." Progress-U has been supporting Bai Xian in 2015 and 2016 in the selection of scholars through the use of a tailor-made success profile (Harrison Assessments) at very preferential rates. 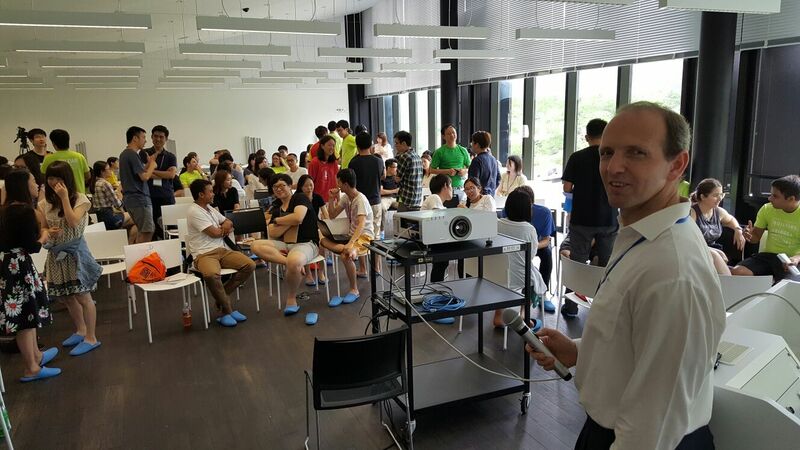 Also, Progress-U supported the annual summer programs in Hangzhou/China in 2015 and Karuizawa/Japan in 2016 with keynote sessions and HA Paradox Assessments and debriefs at very special rates. Mother’s Choice is a grassroots non-profit organization that provides and promotes loving, nurturing care for babies and children needing permanent homes, and for single girls and their family facing crisis pregnancies. In order to improve the effectiveness of the organization, Progress-U offered a charge-free coaching program for the former CEO of Mother's Choice and facilitated a half-day workshop for the management team. Harmony House is Community Interest Company that works in partnership with the Local Authority, Community and Voluntary organisations in delivering support for refugees and other immigrant groups. The Team of Progress-U offered Executive Coaching programs for 4 management team members and facilitated a half-day workshop for the organization's management team. In its 55-year history AIESEC provided around one million people with highly impactful leadership experience. It is one of its organizational values and AIESEC believes developing individuals is the most sustainable impact it can have on the world around us. At every stage of it's history AIESEC has been connecting people and organizations. In the 50's to bridge nations after World War II. In the 70's to develop internationally aware managers. Nowadays to create networks of people who will be successful in creating positive change throughout their lives. Progress-U supports AIESEC with free workshops during AIESEC's conferences. "The Hong Kong International Coaching Community assists people to become effective professional coaches, who inspire and empower others to achieve personal and organisational change. With global and local affiliations we offer a pool of resources to foster professional development, mutual support, sharing of knowledge and expertise within a culture of continuous learning." The team of Progress-U supports HKCC by taking up roles in the executive committee and by providing free speeches and workshops for its members. Also, we frequently contribute articles on coaching and leadership to the HKCC newsletter. Toastmasters is a worldwide non-profit-making educational organisation founded in 1924 dedicated to improving its members' communication and leadership skills. Members comprise of people from all walks of life who include business people, professionals and students. There are now more than 8,700 Toastmasters clubs and 175,000 members in 70 countries and cities all over the world. Victoria Toastmasters Club (VTC) is part of the worldwide Toastmasters International movement and the 2nd oldest club in Hong Kong. It was founded in 1957 and is considered to be one of the most professional clubs in Hong Kong due to its high quality speech and evaluation standards. Progress-U supports Victoria Toastmasters Club by taking up roles in the executive committee and by actively assisting in the organization of its events. Also, occasionally, Progress-U has offered its seminar room at no charge for Victoria Toastmasters' meetings.